Everyone has their own unique style and energies. The therapists at Tranquility Massage will make sure you receive the best possible care that you can get. We appreciate your business, and its our goal for you to depart with a sense of equilibrium with the world. ~Brandi has been a licensed practitioner for over 11 years. Her passion for helping people shines through each and every session. Brandi is skilled in swedish, deep tissue, prenatal, medical massage, reflexology and is a level II Reiki practioner. She aims to help relieve sciatic problems, back issues, shoulder and neck pain and overall hopes to relax muscle tension and reduce stress. She listens to each clients specific needs and adapts her massage to treat them in the best way possible. Her goals are to have her clientele feel relief and establish a lasting effect of muscular relaxation. ​~As a trusted healing partner, Ashley strives to ensure her clients feel safe and comfortable with every aspect of their therapeutic journey. Ashley combines her expertise in integrative therapy with empathy, understanding, patience, and compassion to act as a guide for each clients unique mind-body healing needs. This paired with her love for massage therapy creates a calm and healing environment. Currently specializing in relaxation massage, Ashley is looking to broaden her abilities to better meet her clients unique needs. ~Nicole has been a massage practioner for over 11 years. Her gifts as a massage therapist come to light with each and every individual who walks through her door. She has the ability to work out muscle tension with her impressive deep tissue and hot stone techniques. And still has the amazing talent to fully relax your whole well being with gentle swedish massage. She is a talented Reiki practitioner and often her energy work comes through during her treatments giving her clients an overall mind and body retreat. Reflexology, prenatal, aromatherapies, hot stones, deep tissue, reiki treatments and swedish are just a few of her impressive abilities as a therapist. Nicole has a wonderful way with her clients and her goals are to have each and every one of them leave her space with a sense of strength, ease and the ability to take on the stresses of life with a calm and relaxed state of mind. ​~Laura Wooding is an advocate for total mind and body healing and utilizes her expertise in massage therapy to help others achieve this goal. 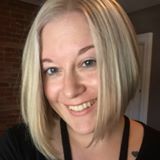 She has been in the field for 6 years and strives to further her knowledge in specific massage techniques through continuing education courses. She specializes in reflexology, specific cercival(neck) tension release, Deep tissue through light touch, swedish massage, prenatal massage and the use of hot stones and aromatherapy. Her passion lies in creating an atmosphere where others can come to release tensions and stress and unwind form the responsibilities and worries of everyday life. Laura believes that these daily stressors and worries are what become built up and stored in our physical bodies. Using her intuitive abilities and effective massage techniques her goal is to have her clients leave feeling an overall balance mentally, physically and spiritually. ~Emily has been an Esthetician for 10 years, working in both the Rochester and Syracuse areas. She enjoys creating customized treatments ranging from Teen to Anti-aging Facials. She specializes in ALL areas of waxing. What sets Emily apart from others in her profession is that she is meticulous and cares to meet the needs of her individual clients. She takes the time to make certain that each client feels comfortable and satisfied every time they meet. Emily's clients leave feeling more beautiful and more relaxed with each and every service. Contact Us Today to Reserve a Time or schedule online!